For U.S. Navy deep-sea divers, time is of the essence. While operating 100 feet down, with little to no natural light—often in frigid temperatures and limited oxygen—time is everything. But for divers, time remains a precious commodity on the surface as well. 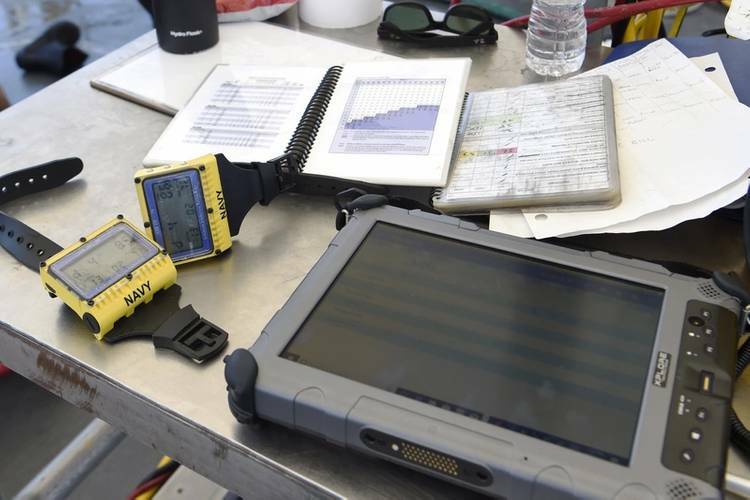 For years, military divers have had to manually write and log information from dives while at sea into a system known as the Dive/Jump Reporting System (DJRS). Manual entries can be time-consuming and allow human error. Enter the Office of Naval Research (ONR) Global TechSolutions program, a rapid-response science and technology program focused on solutions to problems submitted by Sailors and Marines. ONR TechSolutions and industry partners have created a new tool called the Scuba Binary Dive Application (SBDA) 100 to digitally plan, record and report dive-profile information to DJRS. The application will accelerate the process of logging and uploading dive information, and will help eliminate potential data-entry mistakes. The idea originated from Force Master Diver Scott Brodeur, Naval Expeditionary Combat Command. “Scott has completed over a thousand dives during his career and he recognized the need to make the logging and reporting process more efficient for his peers,” said Jason Payne, TechSolutions acting program manager. 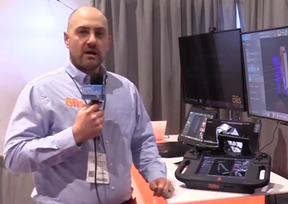 The SBDA 100 is a software application on a ruggedized tablet used to log, compute and accurately compile dive-profile data. The data, collected from a wrist watch that divers wear during operations called a Navy Diver Computer, includes dive site conditions, equipment used by the divers, dive events, such as, when a diver left the surface or left the bottom of the ocean floor, and if the dive required decompression stops. SBDA 100 syncs this information and automatically uploads it to DJRS. “For years, I witnessed how many hours it takes to manually log dives—watching the young guys that have to—at the end of a long 12 to 14-hour-day—come back and manually go through the dive logs and write everything down, and double check it and triple check it,” said Brodeur. During a recent training exercise in the Gulf of Mexico, Brodeur, the Naval Experimental Dive Unit and other U.S. Navy divers stationed around the globe had the opportunity to test the technology for the first time. Throughout the process of the development of the SBDA 100, ONR TechSolutions has worked in conjunction with Space and Naval Warfare Systems Command (SPAWAR) Atlantic; industry partner Intelligent Automation Inc.; and Naval Surface Warfare Center (NSWC) Panama City, which is the home of the U.S. Naval Diving and Salvage Training Center. 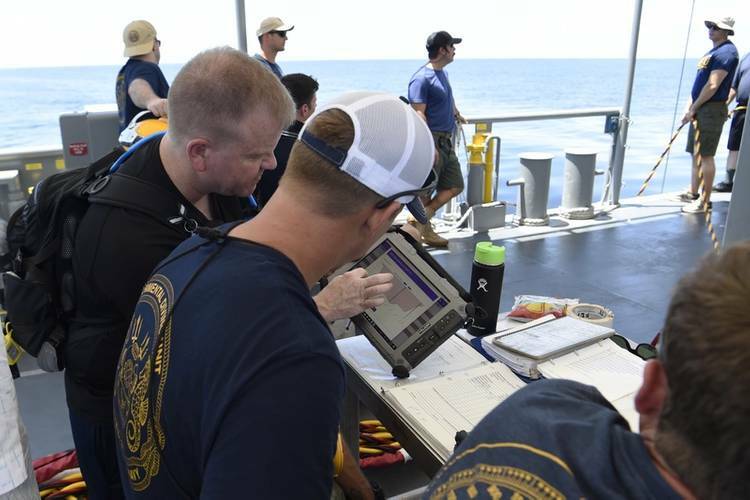 SPAWAR served as the principal investigator and NSWC Panama City provided technical support and hosted the training and demonstration of the SBDA 100 at sea. Bobby Cummings is a contractor for ONR Corporate Strategic Communications.